each other and the next generations. Our mission is to bring together supply chain players and engage them with innovative solutions to improve production, ensuring the transition to a sustainable and inclusive economy that maximizes the benefit for all stakeholders. 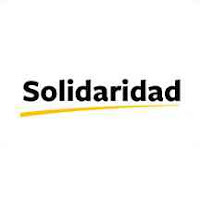 Send a one-page motivation statement outlining your suitability for this position, your salary expectations and availability; and your Curriculum Vitae, to recruitment.secaec@solidaridadnetwork.org and a copy to marym@solidaridadnetwork.org Application deadline is on 13th February 2019 and our ideal start date is Immediate. 15) Participate in organizing extension activities which include field days, Agricultural shows Field demonstrations, Farmer field schools and farm visits.